With our Cinzento Custom Made® program, we can produce almost any desired color by combining stain and oil. This in combination with a various of other treatment options means that almost every request can be produced. 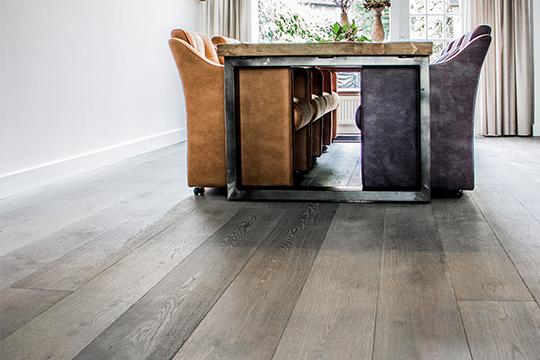 On request we have delivered this Cinzento Custom Made® finished floor. 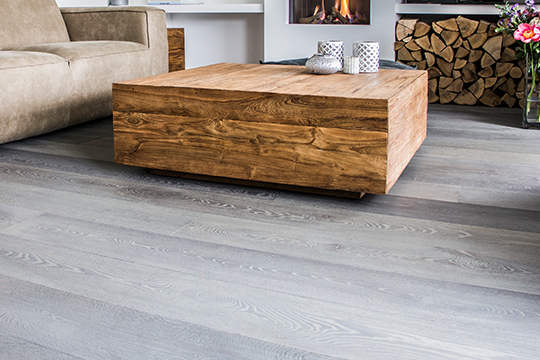 This rustic A/B oak dual plank is brushed, grey stained and then color oiled as desired. The result is an exclusive grey look, with the focus on the unique wood grain.